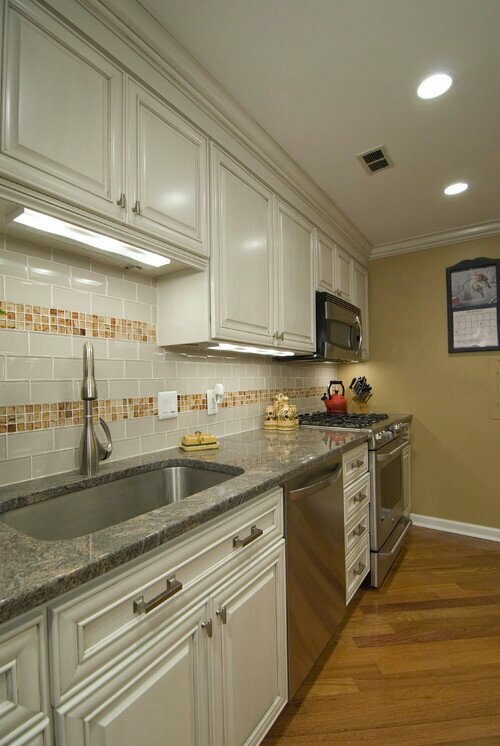 Flat-panel cabinets have a flush or flat door panel that creates a seamless design and surface in the kitchen. 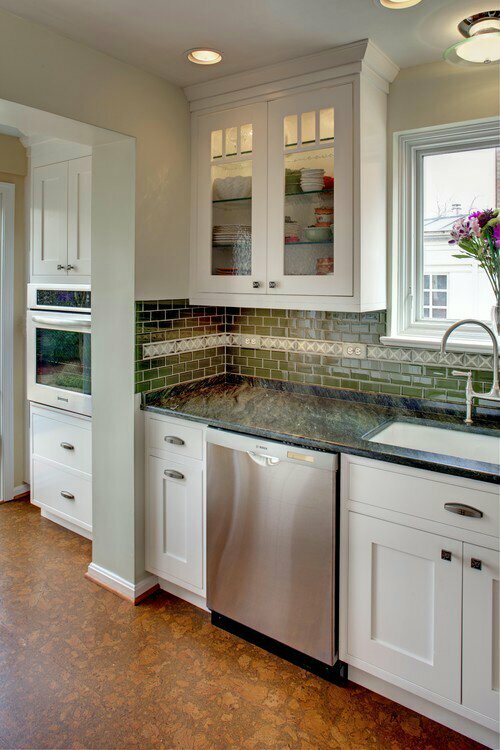 This style is used almost exclusively in modern kitchens and frequently in contemporary designs as well. The hinges are mounted inside the cabinet box as opposed to the outside, so the cabinet doors create a sleek, clean, and continuous look in the kitchen. Choosing a cabinet finish and color. 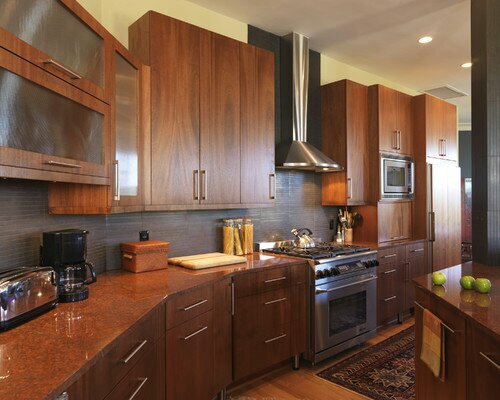 A cabinet’s finish should match the overall aesthetic you’re working to create in your kitchen. 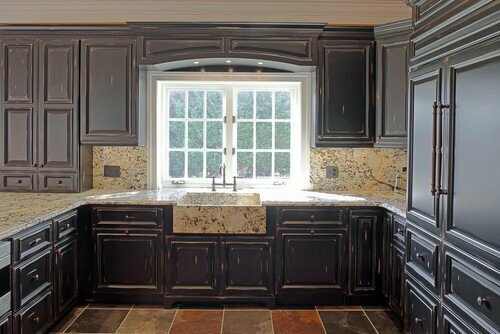 Highlighting the natural grain of the wood or choosing a solid, neutral color are both universal choices that will match any kitchen style for years to come. A modern finish is characterized by high sheen and a smooth surface, which may be stark white, a single bright color, or the wood’s natural grain. Traditional finishes often consist of deep, rich wood tones and distressed surfaces. 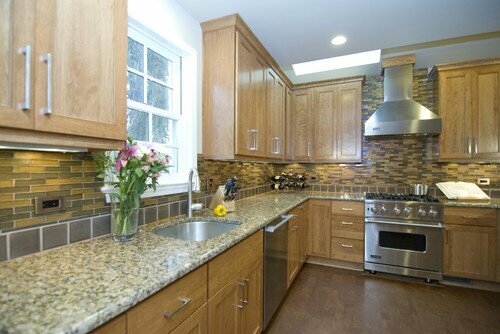 Just like kitchen cabinets themselves, glass inserts come in a variety of styles and textures to match the overall style of any kitchen. However, glass doors aren’t for messy or disorganized kitchens. They won’t let you hide the contents of your cupboard, and they tend to collect fingerprints faster too. These are some great kitchen design ideas. Thank you for sharing.